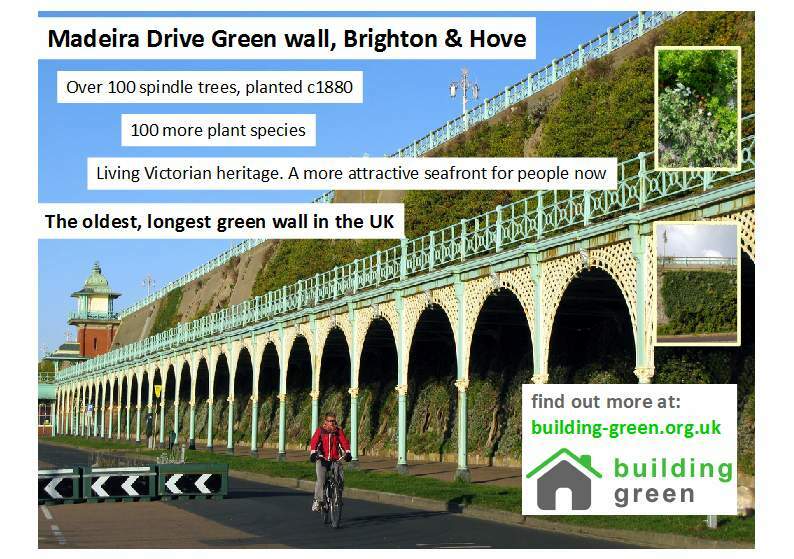 Why plant or protect green walls? What’s the point of them? 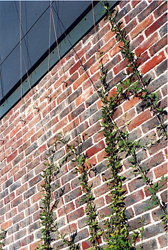 This study concluded that ‘direct green facades’ – ie climbing plants established onto a building surface – are the most sustainable green wall type, and have a very positive net present value. There are lots of places in Brighton where this applies – around New England for example, Westergate, American Express, and so on. a protective coating for the cliff face – limiting damage and deterioration from wind, rain and cold. a backdrop for TV, film, photo shoots and show piece for Brighton & Hove. It would be useful to do some economics on this – anyone out there with the requisite skills?